Online marketing has proven itself to be one of the primary methods for lead generation and brand development. Arguably, every type of business should have some type of online presence. B2B as well as B2C companies should have an online marketing strategy in order to reach new potential customers. 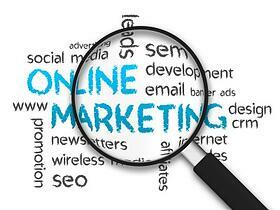 The challenge for many businesses is where to start with online marketing. For most companies the best choice is to use a reputable online marketing company. Price is not always the best decision maker – looking for the lowest cost marketing provider can lead to poor return on your investment or hidden costs that can get out of control. Look carefully at all aspects of the marketing company and have price as only one of the variables. Consider the services that you need – marketing firms can offer a variety of different services from graphics and web design to content management and social media campaigns. Review the types of marketing services you want and look for a provider that can offer the most comprehensive solution. Quality is critical – your online marketing firm must be able to produce high quality services and solutions that will result in achievement of your marketing goals. Look for a provider that can offer superior content and comprehensive strategies that are tailored to meet your marketing goals. Measure the results – be sure to have a method of measuring the results of your online marketing company performance. This should tie to your business and marketing goals and include metrics such as number of leads generated, quality level of those leads, conversion rates, web site traffic and more. Choosing your online marketing company will be an important decision for your business. Consider carefully all of your options to get the most value. For more information please call us directly or click the button below and we will contact you. Thank you. For any type of business, your marketing plan must include some form of online strategy. The vast majority of potential customers are checking online first before looking anywhere else to find products, services, or companies that they need. Your business should be part of the online marketing revolution. What are your current marketing goals? Your chosen online marketing company should want to review your current marketing goals right away. A real partner will make sure your marketing strategy aligns with your business plan, and then work to incorporate your online strategy into those goals. Who is your target audience? Your marketing partner should review your target market personas to better understand and refine your online approach. Knowing your target audience will help to identify the best web site “communities” to utilize in promoting your business. How will SEO be used? The best online marketing company for your business will incorporate keywords and phrases based on search engine analytics data. Then your marketing partner would develop a plan to fine tune and revisit your SEO results on a regular basis. The reviews could take place monthly, bi-weekly, or less frequently depending on your particular business needs. Will multiple online avenues be used? The right marketing partner will not only tune your web site. The best marketing companies will review email campaigns, blogs, articles, social media and other online channels to make sure there is consistency in your marketing message and everything aligns to your business goals. Look for an online marketing company that can answer these questions to your satisfaction. Seldon Marketing can be your online marketing partner with the experience and skills to execute. For more information please call us directly or click the button below and we will contact you. Thank you.